For generations, it went from a someone’s daughter, sister, wife to inexplicable paths that women before my time so fearlessly fought for is a gift and a blessing I could never possibly return but simply receive and use it to my best advantage. To occupy the areas that they were locked out of to the best of my abilities, to adopt the same determination, grit, and perseverance and not just allow closed doors to stop me, but to open them because that’s how doors work. 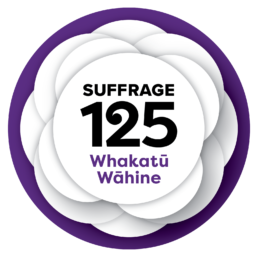 The Suffrage Movement means the small exteriors like just simply being the way I am, a woman, do not define who I am, but what I will bring to the world. It does not mean to take over the world, but to take over the places open to others, which are open to me. I have gained a freedom, and it does not cage me into a box, it sets me free, for this to happen before I even knew I was in a cage it is simply unfathomable, and I can only be grateful, and be inspired. In my heart, giving up is no longer an option, it is totally out of the equation.